Relaxation and complex body-soul-mental healing. 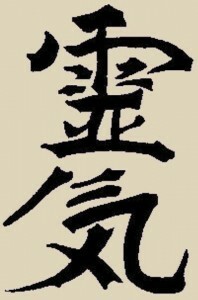 The words of Reiki Grand Master Mikao Usui the founder of modern Reiki, the five Reiki principles are leading to total physical-psychical-spiritual harmony which is the total body-soul-spirit experience of health and well being. Reiki is the Lemurian method of healing with life energy, a gift from Pleiadians to humanity. Usui Reiki brings in fabulous healing energies. These are very gentle and loving energies and they heal on all levels of the Holy Trinity of Body – Soul – Spirit. Don’t just use, but live Reiki! Uusing and experiencing of the Usui Reiki master energies leads us to open our beings to the next level. Karuna Reiki brings in noticeably stronger healing energies and provides more powerful healing tools, such as the symbol to reduce pain, deep healing, to fill the client with love or to ground one. Karuna is a sanskrit word that means compassionate action, where this compassion flows from the ocean of unconditional love. This compassion combined with wisdom can lead one to enlightenment! Reiki healing combined with energy massage gives a total relaxation experience of the body and the soul. It is a perfect stress releasing method, the bases and/or complementary to every healing. Hot stone massages as well as application of energies of crystals are also efficient methods of relaxation and healing. Balancing the chakras -energy centers- is the start of every energy healing session. It is very important to the client to understand the message of the sickness/illness as an imbalance and also to distinguish the symptom from the sickness/ illness itself. We would not treat the symptom only on the physical level, but the cause of it as well in the dimensions of the soul and spirit. Karuna Reiki is a registered trademark of The International Center for Reiki Training! The abundance energy exchange is proportional to the needs and intentions of the clients. The abundance energy exchange is in accordance with the standards of The International Center for Reiki Training.